Is advertising part of your social media strategy? While organic social media marketing plays an important role in a successful content marketing campaign, it’s becoming more and more important to pair your non-paid updates with a paid strategy. According to PwC’s Global Consumer Insights Survey 2018, most consumers turn to social media to get inspiration for purchases. Therefore, it would follow that brands should invest their time and resources to reach as many consumers as possible via social media. Not all social media ad platforms are created equally, though. How do you know which platforms are best for your target audience? In addition to having a thorough understanding of whom you’re trying to reach and which social media options they use, it helps to have a clear picture of each platforms’ capabilities. 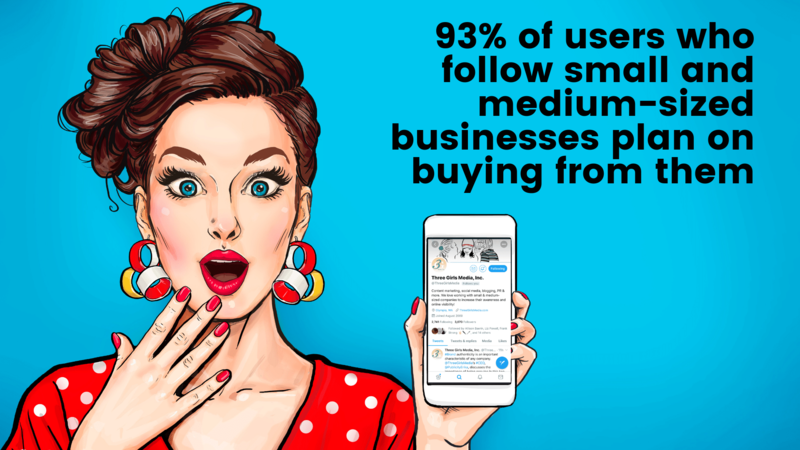 Keep reading for an overview of social media advertising options on Facebook, Instagram, LinkedIn, Pinterest and Twitter. Because Facebook owns Instagram, they make it really easy to run ads on both social media platforms. Through one dashboard you have the flexibility to target users on either one or both, as well as the ability to pick and choose where your ads will show up: in the news feed, as Stories, in Messenger and more. 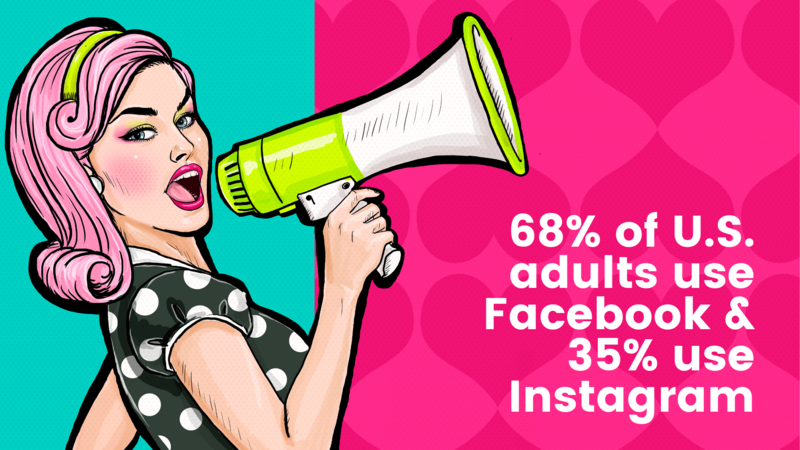 Here’s why you should consider Facebook & Instagram ads for your social media ads. Offline activity: Those that visited your store, contacted you by phone, etc. Single Image: Choose a high-quality visual that encourages users to click through to your website or app. Video: Create a video and upload it to Facebook to use as your ad alongside a compelling update a link through to your landing page. Collection: Showcase items from your product catalog to encourage shopping; the items displayed are customized for your audience and products can be purchased without leaving Facebook. Carousel: Feature three to ten images or videos, each with their own link, within a single ad. Slideshow: Create a slideshow within Facebook’s Ads Manager to run as a video ad; you can upload your photos and use the platform to set the speed, choose background music, etc. Instant Experience: A full-screen, mobile-optimized social media experience that comes up when users click on the ad. Lead Generation: Using an image, video or carousel ad, users are presented with a lead form to provide their details, so they can learn more about your business. Offers: Choose whether you want these discounts to appear as an image, video or carousel. Post Engagement: Take an update you’ve already posted to your page and boost it to deliver more likes, comments, shares and views; these are perfect to use on organic posts that resonate well with existing followers. Event Responses: Promote awareness of your event and drive responses; the ads can appear as an image or video. Page Likes: Increase your page’s number of followers by using these ads; they use an image or video. Instagram offers a variety of social media ad types, too. They appear in users’ feeds and Stories, and can be managed either within Instagram itself or using Facebook’s Ads Manager. Photo: Uses a single image, either in square or landscape format. Video: Share up to 60 seconds of video to capture users’ attention, also available in a square or landscape format. Carousel: Similar to Facebook’s Carousel Ads, choose three to ten images or videos for users to swipe through within a single ad. Stories: Full screen, vertical ads that show up seamlessly alongside Stories users are watching. Collection: Similar to Facebook’s Collection Ads, brands can use these ads to showcase products users can purchase directly from the app. Is LinkedIn a good fit for your social media ads? 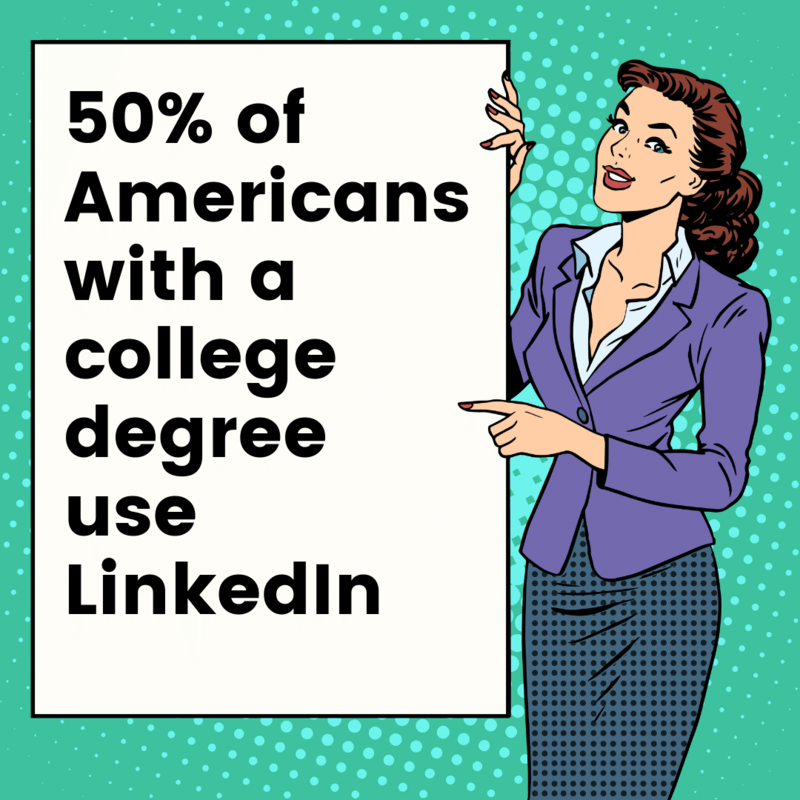 If you’re targeting business professionals in certain fields – especially those that require advanced degrees – LinkedIn may be the best social media platform for your ads. Pinterest’s Promoted Pins may be an important part of your social media ads strategy. Promoted Pins: These ads look just like standard updates, or Pins. They include a single image, a basic description and a clickable link. Promoted Video Pins: These ads can capture users’ attention as they browse or search the social media platform. They use a video rather than an image and include a headline about the ad as well as a clickable link. Promoted Carousels: With up to five images in a single ad, users can swipe through to learn more about your products or brand. 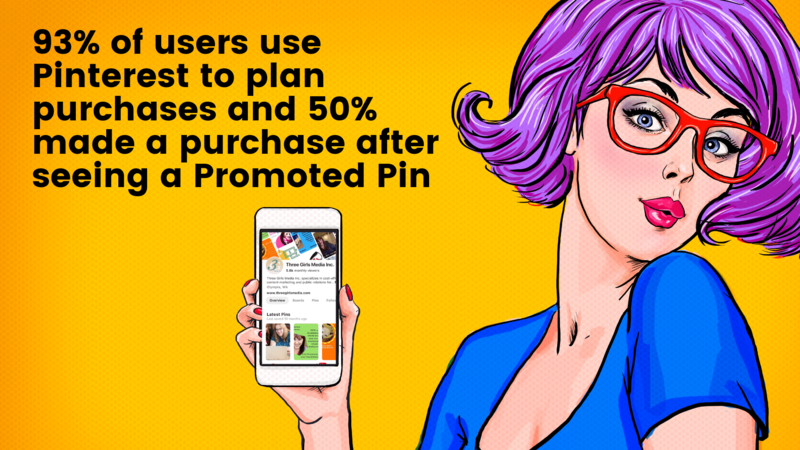 Promoted App Pins: These ads make it even easier for users to learn about and get your app; when they click on the Pin they’re able to download the app without leaving the social media platform. Twitter may not be as popular, but it could be a useful platform for your social media ads. Keyword Targeting: By selecting keywords users include in search queries, recent tweets and tweets they engaged with, you’re able to reach people with whom your ad is most likely to resonate. Interest Targeting: This target list is built based on topics users are interested in like hobbies, education, careers, life stages, entertainment, etc. Username Targeting: Also known as ‘Follower Lookalikes Targeting,’ this type of targeting looks at your users list and targets whom they follow, with the idea their contacts are likely to be interested in your brand as well. TV Show Targeting: Continuous targeting delivers Promoted Tweets to users engaged with specific TV programs at any point your campaign is live and new airing windows only delivers Promoted Tweets to users engaged with specific TV programs only when a new episode is airing. TV Network Targeting: Reach people engaged with programs that air on selected networks while your campaign is active. Twitter users will be available for targeting beginning at the start of each telecast, and will be targetable for roughly one day. TV Genre Targeting: Reach people engaged with TV programs that air by genre (comedy, drama, etc.) while your campaign is active. Twitter users will be available for targeting beginning at the start of each telecast and for roughly one day after. Tailored Audience Targeting: Much like some of the social media platforms above, this option allows you to reach users that are on your e-newsletter contact lists, visited your website or used your app. Device, Carrier and New Mobile User Targeting: Reach mobile users based on the type of device, operating system or carrier that they’re using. You can also only target users with new devices, which could be beneficial depending on your social media ad goals. Event Targeting: This option allows you to reach Twitter users interested in the platform’s event calendar. Behavior Targeting: Only available in the U.S. and U.K., this targeting option looks at key online and offline behaviors to target, such as those likely to buy home and garden items or likely to buy a mid-sized car. Twitter Promote Mode: For those short on time, these automated ads are constantly running for a monthly fee. Each day, Twitter adds your first ten tweets to a Promoted Tweets queue that’s set up to reach your target audience. Plain Text Tweet: Exactly as it sounds, this ad shows up as a simple tweet with just text. Image Website Card: This ad features a square or landscape image along with an image title, the update’s text and link preview. Image App Card: This one is similar to the Image Website Card, except instead of linking to a website landing page, it provides users with the opportunity to install your app directly from Twitter. Single Image Tweets and GIFs: Using a single image or GIF, these ads look just like a standard tweet. Promoted Video: This one is just like the Single Image Tweets, except with a single video rather than a single image. Multi-Image Tweets: You provide up to four images and Twitter places them in a collage next to each other within the ad. Video App Card: This one is just like the Image App Card, except instead of linking to a website landing page, it provides users with the opportunity to install your app directly from Twitter. Video Website Card: This one is just like the Image Website Card, except with a video rather than an image. Conversational Ads: These interactive social media ads include questions for users to answer; based on the answers, you provide additional details about your business. Direct Message Card: These ads show up in users’ direct messages; you can use either images or videos with them.